Look around and you will notice the drastic change in population, over the past twenty years Malaysia has become a renowned tourist destination as well as a number one spot for shoppers from all over the world. Some foreigners call this home as they have settled permanently and invested here in Malaysia. 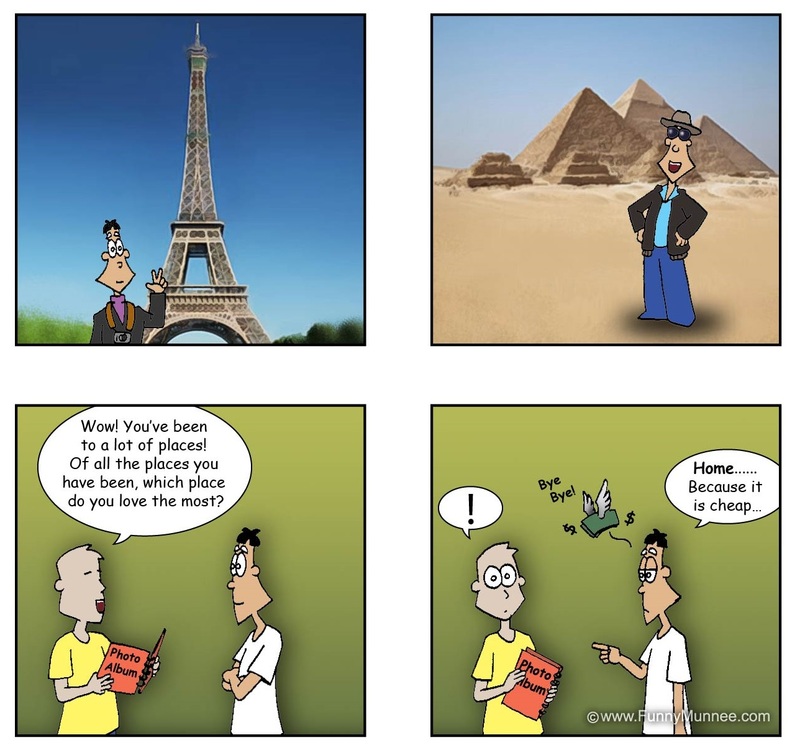 Munnee seems to have traveled to various countries but prefers his home country, why? …because it is cheap! So this statement leads us to the next question, Would you settle in a foreign country because it is cheaper than your home country? To some people, the cost of living could force them to move. Other people will not have moving as an option, no matter how high the cost of living may be, reason…East or west, home is the best! In our venture to provide you with the best personal finance tips, I noticed that all of the tips here offered solutions and advice to people who plan on staying within Malaysia. Well how about those of you who up for a change, you could have considered moving but you just did not have enough information. Here, I am going to offer a couple of tips that could ease your process of moving. Yeah, lets cross borders now! This is a very important question because it addresses your motive of moving. This will enable you to evaluate your current situation and if need be, you will consider moving to a relatively cheaper country in general. I think it is important to put fantasies aside when making this decision. You should be realistic enough and make a choice to move to a country that best suits your current lifestyle and profession. You should never move to a country just because you always had dreams to travel there on vacation. That will defeat the purpose of the reason you initially decided to move. After you have gotten a sound reason to move, then you know where next you will be settling, it then comes down to when you want to move. In this case, you have got to choose the best time of the year to move. You would not want to move during christmas, Hari Raya, or Chinese New year celebrations. So it is best to do some research and coordinate the time during which you want to move with that of your destination. Timing is really important here. Do research about the country you would like to relocate to. It is best that you dig a little more and find out more about the country you will be moving to. You do not want surprises when you get there. Check online and find out more from people who have already moved there. Check whether it is easy to get a job in your line of career in your desired country. Watch that country’s videos so as to get a feel of the place you will be moving to. Pay your desired country a visit before you can call it home. Websites, blogs and forums can be a good source of information before moving but you cannot completely rely on them. Find time and head over to desired country so as to experience the life there first hand. While you are there, avoid touristic places and also try not to live like you are on vacation. Living while working in a place is totally different from spending a vacation in the same place. Learn all you can about the country. From the transport system to jobs available, cost of living. Try to gather as much information as possible about the country you would like to move to. And most importantly, learn their culture, customs and their language. This saves you a lot of hassles in your daily routine. Get familiar with the country’s immigration laws and procedures. The last thing you would like is to get in trouble with authority in a foreign land. Ignorance will cost you a lot so avoid being a victim. If you have children, you will want to do more research on the education system, the price of education and the quality of education as well. Find out whether the local language functions on a different alphabet from your children’s first language. You wouldn’t like your kids to have a very hard time coping with new routine and way of life. Lastly, never burn all your bridges back at home. Assets like your house should not be sold. Have your house rented out until you are certain that the country you moved to is your best destination otherwise things can turn sour anytime. Did you know that malaysia is one of the much sought destinations for Europeans and Americans to settle down or retire? Yes, according to Daily Mail, Malaysia is also considered cheaper compared to Europe in terms of the cost of living. Over to you, would you pack up and leave your motherland because of the high cost of living? If so, which would be your ideal destination? 1 Response to "Why, Where and When to Move Oversea? Isn’t Malaysia Has More to Offer?"